In their review of the book, the Mail on Sunday said: “Think Chocolat with a heaped tablespoon of Bake Off “, and it’s a fair comparison to make. Add elements of Nanny McPhee, The Golden Compass and Divergent to the mix (pun not intended) and you start to get a better idea of the imaginative story at the heart of this novel. There’s something for everyone. As mentioned previously, All That She Can See centres on a tight-knit community in Plymouth and a positive tone is set (all of the character’s eagerness to agree with one another at first was something which I was a bit sceptical of to start with), that is, before the main source of conflict is introduced – Mr Chase Masters. Naturally, any reader would be quick to assume that Cherry and Chase would go on to develop a romantic relationship, as with most books in this genre. Whilst that is the case, the important thing is that a valid reason is given, and it is not simply a cliché. What makes it works is that the bond taps into the bigger picture Fletcher was trying to paint with the novel. Underneath the metaphors for human feelings, there were a few comments about happiness and emotions which Carrie was trying to make. Consider it a fictional extension of sorts to All I Know Now, as it were. However, it isn’t long before the bubbly Nanny McPhee style of the story fades away into darker territory akin to that of Divergent. Unlike On the Other Side, there were some shocking, haunting scenes in this book, which only shows development on Carrie’s part as a Sunday Times bestselling author. It pays off, too, being one of those books which can invoke specific images in one’s head when reading (sadly a select few can do that for me these days). It was halfway through the book, when Cherry’s dilemma got worse, that I truly got engrossed in the story. Even now, I remember certain parts of the book having me shout out loud in shock. At some points in the novel, I was so sure of what was going to happen, but Fletcher continued to surprise and intrigue with exciting twists and turns. 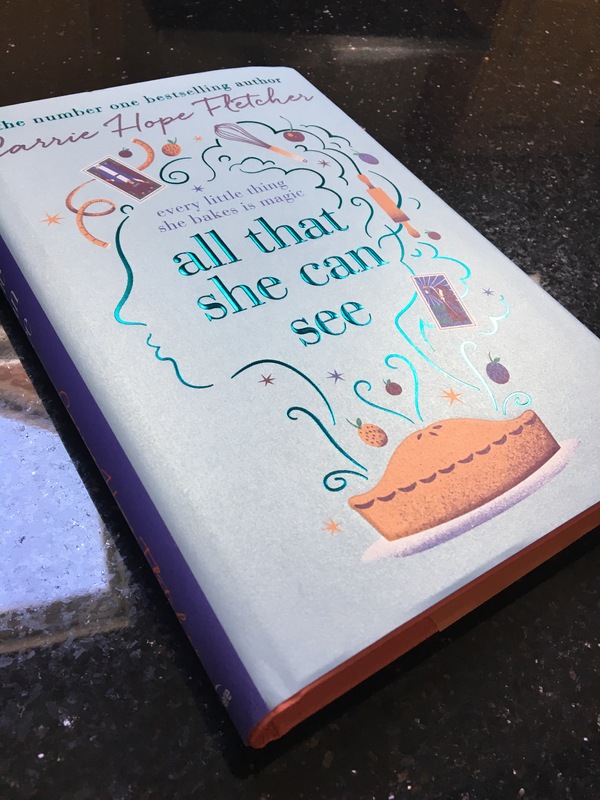 What’s even better is that it ends in a way which suggests there’s more to come, and a trilogy of books from Carrie Hope Fletcher would be a very exciting thing indeed. I received an advance copy of this book for free in exchange for writing a review. I did not receive payment and all opinions stated in this piece are honest and my own. I just finished reading this the other day, and it was the first of Carrie’s books that I’ve read! I thoroughly enjoyed reading it – and I’ll have my own review up soon! The twists and turns definitely kept the plot interesting and readers on their toes – and I’ve got high hopes for a sequel! Lovely to hear your thoughts 🙂 I have been wondering where the comparisons with Divergent are coming from though. A lot of people have mentioned it, but I didn’t pick up on any similarities when I read it. I was actually thinking more of Holly Bourne’s Soulmates! Thanks! I’m glad you liked the review. I haven’t read Soulmates, but in terms of the Divergent comparisons, it’s when the book starts to get a little futuristic that I sensed it. The book’s plot becomes more than what it appeared to be, and if you’ve read Allegiant then hopefully you’ll know what I mean. Apologies for the vagueness but I hope that gives you an idea of my reasoning without spoiling it for others! Same here! I’ve often said that it reminds me a lot of Mitch Albom’s work – very spiritual.